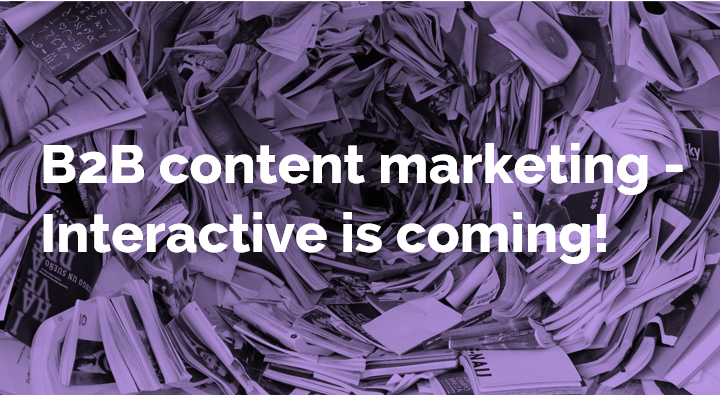 Content is both the cause of, and solution to, many marketers’ problems. Like channels including email and social media, content has taken its place as a fundamental pillar of B2B marketing. When planning campaigns or marketing strategies, content’s inclusion is simply a given – and rightly so. Tackling long buying cycles, building brand trust, or positioning organisations as industry thought-leaders, few channels do the job as well as content. From ebooks and tip sheets, to infographics and checklists, this multi-function solution has a place in all marketing activities… and this could be its downfall.